Author Sandi Lynn: Need A New Romance Read? Need A New Romance Read? Companionship is a good thing. My name is Emily Wade and I was raised to believe that happily ever after didn’t exist. That relationships were doomed before they even started, and that as long as the attraction to someone is purely physical, life is uncomplicated and good. I lived by that and was probably the only anti-relationship person in the world. I found myself in the midst of so much man drama that I decided to take a hiatus from the dating world. Until I met the brutally handsome CEO of Caine Property Development & Management, Jackson Caine. He was as anti-relationship as I was and wanted to negotiate a deal that would let us have our cake and eat it too. My mother was on her fourth husband. My father was on his fifth wife. My name is Jackson Caine and I grew up in a world where I was taught that nothing lasts forever. I saw and lived the destruction each relationship my parents had and it was something I never wanted. I was career driven, successful, the boss of my own life, and as anti-relationship as one could be. I’d had my fill of women and the drama that went with them. Until I met Emily Wade. A beautiful woman who understood and shared the same thoughts I did. We were the perfect companions for each other. No complications, no drama, and certainly no commitment, ever. 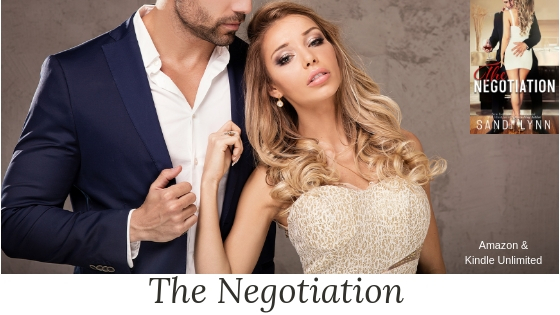 We negotiated a deal that would suit both of us, and as long as no one broke the rules that were set in place, we both could have our cake and eat it too.